Accessories are a Girls Best Friend! Working out at home is new territory to me. This self proclaimed gym rat loves the people watching. I have always had the right tools to get a good workout at home but rarely use them ( such a waste!). whats in your arsenal? 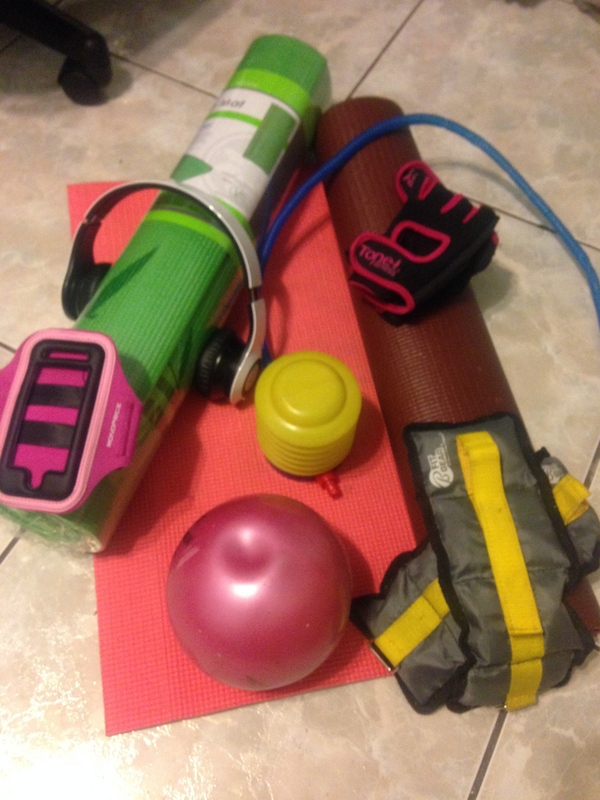 I have an exercise ball, yoga mats, ankle weights, medicine ball, a multitude of headphones, fit bit, arm bands, head band and lets not get into the wardrobe. All of this things are pointless if you don’t have the desire and hunger for change. What item is a must have for your workouts? Can you workout without music? What are your favorite at home routines? Next Hello Sandra D, It’s a pleasure to meet you.